English is an essential tool for any lawyer working with international matters. It is the lingua franca of the legal profession, of business and of international affairs. Legal employers need a tool to assess whether their legal staff and prospective employees have a sufficient level of English to be able to communicate efficiently with clients, colleagues and professionals in other countries, and to handle information written in English. At the same time, law students and newly-qualified lawyers need to be able to prove that they have these skills. 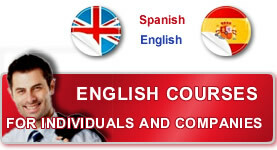 The Cambridge ILEC - International Legal English Certificate - meets these needs.